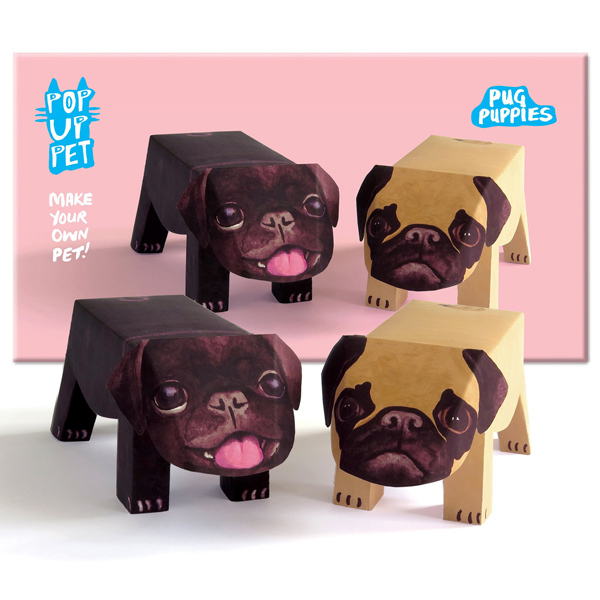 Make your own pet and get the best company this two supper cute pop up pug puppies. No need to walk them around and no mess at home! 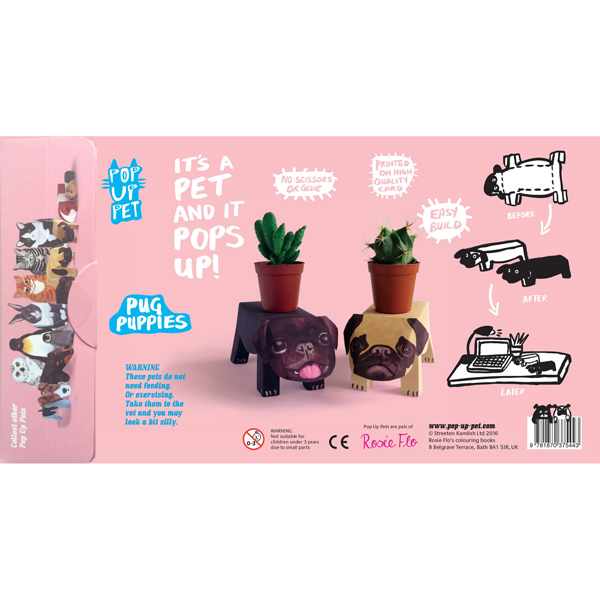 Crafted from quality card and gorgeously coloured, each pet assembles in seconds with no need for glue or scissors. 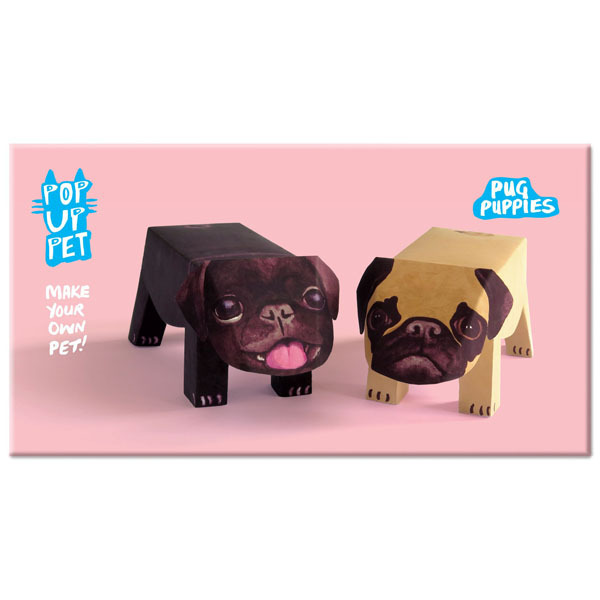 Colour and create your own art show with this fun pop up art gallery. Small Stories Decorations are a delightfully unique set of items to bring a special sparkle of Magic to your (or a friend's!) house. 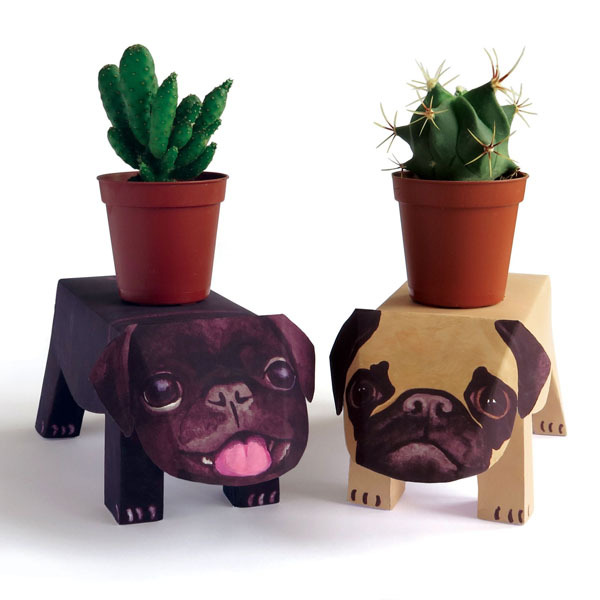 The Pug decoration is laser etched wood and hand painted. This adorable cat with a sweet little face will become your best friend!